Thank you for writing this. 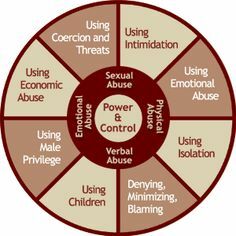 As a survivor of domestic violence, I can attest that having a chronic illness only serves to give these bullies additional ammunition with which to inflict pain. And as far as “knowing better” goes, I once had a cop tell me that, as a psychologist, I “should have known better” – then he told me my abuser and I were both going to be arrested if we “didn’t cut it out” (he told me this as he – the cop – and I were standing outside my apartment, listening to my abuser completely trash it in a drunken rage). All of us – those with and those without illnesses – still have a long struggle to fight when it comes to ending domestic violence, and those of us with chronic illnesses often do not have the energy or strength to keep on fighting…I know I don’t. Fortunately I escaped to a women’s shelter but due to that experience I completely stopped dating and cannot imagine sharing my space or my time with a partner ever again. I feel safe, living alone in an apartment above my good friend (we live in a house that was split into 2 apartments). I write a post on my blog every year in November (Domestic Violence Awareness Month), and I encourage everyone who has survived this horrible experience to blog about it – if nothing else, writing is very helpful in processing and dealing with the trauma. I am now following your blog and I am so very sorry you had to go through what you did. I don’t know if I have POTS or not – I am seeing a lot of doctors presently who are baffled by my symptoms (rise in heart beat when standing and during any upright prolonged activity, facial flushing, nausea, and vomiting) that have sent me to the ER on an average of once every two weeks. I was diagnosed with lupus many, many years ago but the doctors keep saying they don’t know what’s wrong. They are going to do stomach tests, then endocrine ones…I am looking for answers. I think POTS is a good fit and will mention that when I see my doctor next week.